Batti Gul Meter Chalu Box Office: First Solo 100 Crore Film For Shahid Kapoor? Home » Box Office » Actors Actresses » Batti Gul Meter Chalu Box Office: First Solo 100 Crore Film For Shahid Kapoor? Being Shree Narayan Singh the director of the film, the makers have an added advantage as his last film Toilet: Ek Prem Katha too did well commercially and critically. The daddy cool Shahid Kapoor, who is currently enjoying the arrival of his new born Zain Kapoor, is awaiting the release of his film Batti Gul Meter Chalu. The film also stars Shraddha Kapoor, Yami Gautam and Divyendu Sharma. Directed by Shree Narayan Singh, Batti Gul Meter Chalu is slated to release on September 21, 2018. Shahid’s last release Padmaavat faced a lot of hurdles before hitting the theatres. But as we expected it to be, it became a successful affair for the whole team after several controversies. Despite Padmaavat was a multi starrer, Shahid’s performance was quite praised by the audiences and critics. The film went on to collect a whopping amount of 300.26 crores becoming Shahid’s highest grossing film of all time. 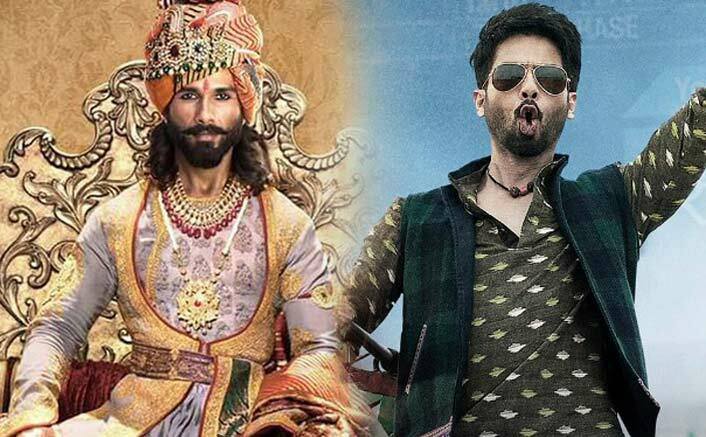 Padmaavat is followed by Shahid’s R…Rajkumar (64.00 crores) and Udta Punjab (59.60 crores). By looking at the current buzz of Batti Gul Meter Chalu, it can definitely surpass the lifetime collections of two films in the top 3 except Padmaavat. One has to see if it becomes Shahid’s first 100 crore film as a solo hero film. The film is releasing on the occasion of Muharram and it is a partial holiday in some parts of the country. This might help the film to do well at the box office. The Nun India Box Office: Crosses Yet Another Film In The Highest Hollywood Grossing List Of 2018! Apart from releasing on a public holiday, what is more important is the positive word of mouth. If the WOM is good, audiences will go to the theatres to watch the film. Being Shree Narayan Singh the director of the film, the makers have an added advantage as his last film Toilet: Ek Prem Katha too did well commercially and critically. Get it in writing, he won’t be able to make it till he leaves his arrogance and useless proudiness!! 90% of the time he dissapoints the audience. He always had the talent to be the biggest superstar after the Khans, Hrithik and Akshay. From Deewane Huye Paagal to Shandaar, hope Shahid learns from his past mistakes and gets his first 100 cr grosser in 2017 atleast. Main reason is his movies are target for different type of audience and it is became irrelevent to compare for a 100 crores. Kaminey, Haider and Udta Punjab are different cinema so looks like Rangoon. For 100 crore, he should be working in films like Rajkumar but it has to be good too. Salman Khan has done many record breaking movies yet, he hasn’t got even an inch of talent. No important awards at all. Nevermind, moral of the story is that the Salman has got a very big fan base, no wonder his movies make money. In the case of Shahid, we can say now he is being careful about choosing his roles and during the course of his 14 years, he has learnt to refine himself. Over time, he will reach heights. Even though awards do not define an artist, the so-called “100 Cr Club” neither defines success of a star. 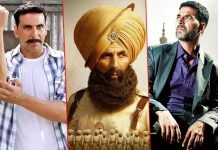 Shahid is following Akki’s steps – by making movies with substance and displaying talent by doing different kind of roles. Even Emraan is doing so (“Awarapan” is one of his best!!). Fan base should always give a chance to their icons. They are the ones who are filling in the “Crores Clubs” – not the Bollywood artists. 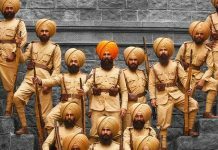 Rangoon will not cross even 70 crocres at box office. But it will become top 10 highest grossing film for each of the actors in Rangoon.